Limb compression has involved massage, specialized compression garments and devices, and water submersion. My experience with limb compression came informally and later formally as an athlete, coach, sport physiologist, and director of the US Olympic Committee (USOC) Recovery Center in Colorado Springs, CO.1 I served as the director of the Recovery Center from its inception in 2005 and for the three years leading up to and following the Beijing Olympic Games in 2008. The development, study, and conduct of athlete recovery were among my responsibilities. As director, head of Sport Biomechanics and Engineering, and a senior sport physiologist at the USOC, I was intensely interested in finding and exploiting technology, therapies, and training methods that could give US athletes a competitive edge. Of course, any technology or methodology had to conform to the rules of each sport, the USOC, and the International Olympic Committee (IOC). 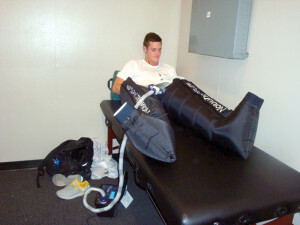 I became interested in limb compression for enhancing recovery because of the donation of several devices from NormaTec. The compression characteristics of these devices were described as “peristaltic pulse compression” (PPC). Peristalsis is a sequential wave of pressure produced by the tension and relaxation of muscles radially along a hollow tube. Peristalsis produces a wave of pressure that promotes the movement of materials through a tube, such as the esophagus, intestines, blood vessels, and lymphatic structures. PPC refers to a sequential pressure wave applied through circumferential leggings. The leggings are composed of segmented tubes that permit computer-controlled pressure variations in each cell and from cell to cell. 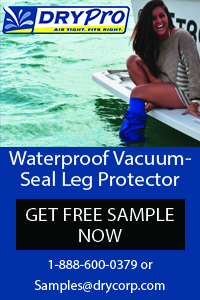 By increasing and decreasing cell pressures in a peristaltic manner, PPC leggings can promote the movement of tissue materials and fluids within the lower extremities. I was largely free to explore these devices and their use with athletes. However, my work with any technology or methodology was and is constrained by the fact that any device I investigated could do no harm, had to function within existing USOC and IOC rules, and had to result in large effects. Sport scientists are bound ethically and pragmatically by a high regard for the time and effort of their athletes. High-performance athletes have enormous demands on their time; they simply cannot, and usually will not, take part as a research volunteer unless there are direct benefits to them. In short, I could not simply study something that was of academic interest to me; the study had to exhibit a large probability of performance and recovery enhancements. Figure 1. Soreness records from the US Olympic Training Center Recovery Center. 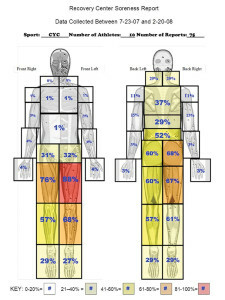 Note that this image shows the results of athletes’ selection of body regions and soreness ratings—low, medium, and high. 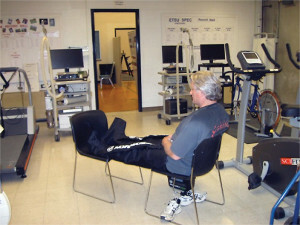 These records were obtained by direct computer input as the athletes entered the Recovery Center. This group of track cyclists shows that some areas of the body tend to show greater soreness and pain than others. I began by showing the athletes how PPC worked. I knew that if the athletes did not like the devices, whether because of appearance, discomfort, excessive time commitment, or whatever, the devices would fail. However, from the outset athletes were offering unsolicited and glowing reports. A gymnast wanted to know what the “deal” was with these devices because, following use, he had the best training session in his memory. A mountain bike athlete was so impressed that he bought one and encouraged USA Cycling officials to buy them for use during domestic and foreign competitions. Athletes sought me out to report that they were suddenly more flexible than ever, and delightedly showed me that they could palm the floor with straight knees for the first time. The flexibility changes led to a study of the use of PPC to enhance short-term flexibility.2 The study confirmed that PPC could enhance flexibility among collegiate dancers in a split position. My proposed mechanism was the enhancement of muscle thixotropic properties.3-6 In addition to enhanced flexibility, there were other benefits of treatment identified by the athletes. The athletes reported that they felt fresher following PPC, even into the next day. Users also noted a reduction in leg agitation while sleeping. Studying recovery is problematic. As a sport physiologist, I have often lectured that there is nothing performance-legal (ie, outside of steroids, stimulants, etc) that is powerful enough to overcome stupid coaching, bad planning, and no talent. Moreover, recovery and the other side of the same coin, fatigue, are multidimensional. Long-term observations of recovery modalities and their effects on athletes has shown that recovery effects are short-lived (hours to a couple of days),7,8 highly susceptible to placebo effects,9 and may make athletes feel better but may not transfer to performance.10,11 Fatigue serves as a stimulus that causes an adaptive response (ie, supercompensation).12 Athletes need to walk a tightrope above failure; they can fall to the side of undertraining and lose because other athletes out-train them. In contrast, athletes can fall from the tightrope to the other side and suffer overtraining13,14 or under-recovery,15 in which they succumb to poor performance,16,17 infection,18 illness,19 injury,20-22 depression,23,24 and other debilitating problems. Figure 2. NormaTec leggings deflated. The subject sat in this position for 15 minutes while the leggings were inflated in a PPC sequence (experimental condition) or delated (control condition). Although numerous variables confound the study of fatigue and recovery, aspects that are ubiquitous among athletes are pain, stiffness, and soreness.33-36 These symptoms may provide a window through which to explore fatigue and recovery when studying athletes from different sports. Pain, stiffness, and soreness can arise from the inflammatory cascade, including edema, enhanced immune response, altered endocrine response, and disability. Figure 3. Peak heart rate response. Single-subject design experiment. Note that each bar represents the average of five stair-climbing interval sessions. To investigate the use of PPC on athletes, I conducted a study66 of 24 US national team athletes (12 women), 12 in an experimental group and 12 in a control group. Athletes in the experimental group wore the PPC leggings, which were inflated by a computer-controlled air pump. The control group wore leggings that were not inflated by the computer pump. The experimental and control treatments followed the same protocol, which involved sitting in a chair with feet elevated on a second chair for the duration of the inflated or noninflated conditions. 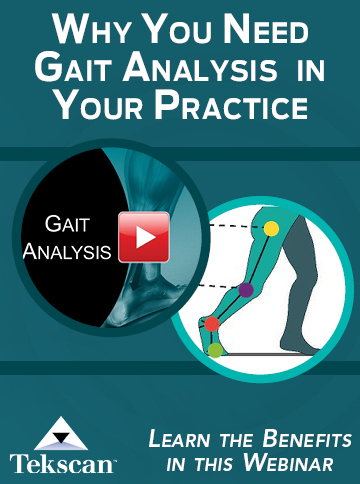 An algometer and pressure-to-pain (PtP) threshold assessed the amount of pressure that induced pain from the gastrocnemius, vastus lateralis, and biceps femoris muscles. PtP was first tested in the athletes at rest following morning training. Each group then received the experimental or the sham treatment. The athletes were retested immediately using PtP threshold and again following afternoon training. Figure 4. David Boudia, USA Diving team member and London 2012 Olympic champion, using PPC to enhance his diving performance and recovery. The results showed statistically significant improvements in PtP thresholds, with the athletes in the experimental group able to tolerate more pressure before experiencing pain compared with their baseline measures and with control athletes. All test sites showed improvements in PtP threshold with no statistical interactions among muscles and treatment sequence. Moreover, the effects persisted after the afternoon training session.66 This study has been accepted for publication. Interestingly, resident athletes at the USOC also commented that PPC aided performance when used prior to their workout. Recovery modalities may be similar to the “prehabilitation” exercises that are often prescribed by coaches, therapists, and physicians in an effort to prevent or reduce the consequences of injury.67,68 Athletes do the same exercises in both prehabilitation and rehabilitation, but in the former the intent is injury prevention and amelioration by enhancing fitness of muscles and joints before an injury occurs, thereby shortening rehabilitation time. The observation of these athletes led to an exploratory single-subject design study. The study I conducted sought to determine heart rate response to the use of PPC prior to 10 stair-climb intervals experienced five times per week. The single-subject design was a classic A-B-A-B experiment.69-71 Each A or B segment involved five separate days/sessions of stair climbing. The A segment involved the control condition, in which the subject wore the leggings in the noninflated condition for 15 minutes (Figure 2). Following the A segment control treatment, the subject performed 10 stair-climb interval repetitions. For the B days/sessions, the subject wore the leggings, which were inflated by the computerized air pump, and then removed them prior to the 10 stair climbs. Pressure, duration (15 minutes), and rest periods were set at factory defaults. The athlete climbed the stairs of the athletic dome at East Tennessee State University in Johnson City 10 times for each session. Peak heart rate was recorded following each climb and descent, and the A,B,A, and B average peak heart rates were lower during the experimental conditions than the control conditions (Figure 3). Thus, the results indicate that some aspect of the PPC was enhancing metabolic response by reducing the metabolic cost of the stair-climbing exercise. A single-subject design experiment, while valid, is seldom conclusive, suffering from low external validity.69,72 In spite of these limitations, these results and the anecdotal athlete reports suggest that PPC appears to be a promising enhancer for both recovery and performance. The conjunction of enhanced flexibility and enhanced recovery may point to similar mechanisms within the field of rheology. Thixotropy is a property of rheology that concerns viscous fluid transitions to and from liquid and gel-like states. Previous work in the use of vibration to enhance lower extremity flexibility appears to support the concept of thixotropy in that shaking, agitating, or stressing fluids within tissues leads to large enhancements of range of motion acutely and long term.73-83 PPC may be another means of applying agitation to tissues that enhances the transition from a gel-like state to a more liquid-like state, promoting ease of motion within the tissue. Muscle “stiffness” is a common complaint among athletes who are recovering from hard training. Thermal, vibrational, or compressive stress to the stiff tissues may improve the athlete’s motion capabilities and reduce the pain associated with muscle stiffness. PPC is being used in many sports with athletes at many levels. Figure 4 shows David Boudia, a US Olympic diving champion in the London 2012 Games, using the compression devices. Diving is just one sport in which we have found that regular and systematic use of PPC enhances performance. 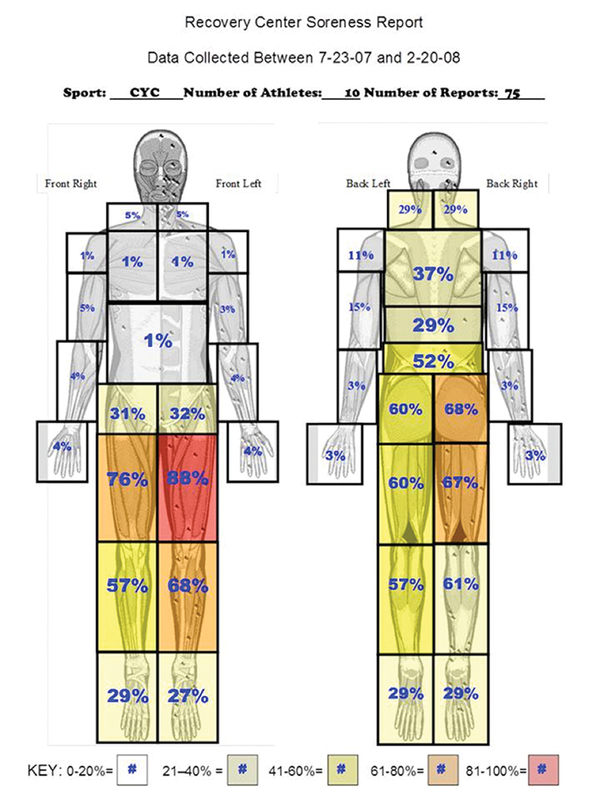 Dynamic compression of the lower extremities may provide elite athletes, recreational athletes, and patients with a means of enhancing the rheological properties of the lower extremities without resorting to extreme temperatures,84-88 expensive body work,7,89-92 or stretching.93 Future research and clinical assessments should incorporate wider-ranging populations, longer treatment periods, and adjustments of pressures used for compression. William A Sands, PhD, FACSM, has served as a sport scientist, physiologist, and biomechanist at the University of Utah in Salt Lake City, the US Olympic Training Center in Colorado Springs, CO, and the National Strength and Conditioning Association in Colorado Springs. Horne A. Dr. Bill Sands talks recovery and basketball. The Boston Sports Medcine and Performance Group website. http://www.bsmpg.com/bill-sands-interview/. Accessed July 17, 2014. Sands WA, Murray MB, Murray SR, et al. 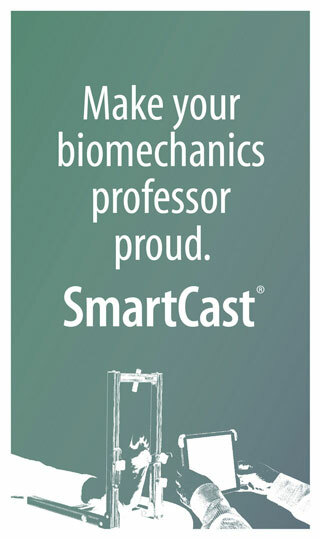 Peristaltic pulse dynamic compression of the lower extremity enhances flexibility. J Strength Cond Res2014;28(4):1058-1064. Hutton RS. Neuromuscular basis of stretching exercises. In: Komi PV, ed. Strength and Power in Sport. Oxford, England: Blackwell Scientific Publications; 1992:29-38. Pollack GH. Cells, Gels and the Engines of Life. Seattle, WA: Ebner & Sons; 2001. Lakie M, Robson LG. Thixotropic changes in human muscle stiffness and the effects of fatigue. Q J Exp Physiol1988;73(4):487-500. Kibler WB, Sciascia A, Thomas SJ. Glenohumeral internal rotation deficit: pathogenesis and response to actue throwing. Sports Med Arthrosc Rev 2012;20(1):34-38. Morasaka A. Sports massage. A comprehensive review. J Sports Med Phys Fitness 2005;45(3):370-380. Wilcock IM, Cronin JB, Hing WA. Water immersion: Does it enhance recovery from exercise? Int J Sports Physiol Perform2006;1(3):195-206. Siff MC. Stress management and restoration. In: Siff MC, Yessis M, eds. Sports Restoration and Massage. School of Mechanical Engineering, University of Witwatersrand, South Africa: School of Mechanical Engineering, University of Witwatersrand; 1992:1-12. Bondarchuk AP. Transfer of Training in Sports. Muskegon, MI, USA: Ultimate Athlete Concepts; 2007. Barnett A. Using recovery modalities between training sessions in elite athletes. Does it help? Sports Med 2006;36(9):781-796. Stone MH, Stone ME, Sands WA. Principles and Practice of Resistance Training. Champaign, IL: Human Kinetics; 2007. Kellmann M. Preventing overtraining in athletes in high-intensity sports and stress/recovery monitoring. Scand J Med Sci Sports 2010;20 Suppl 2:95-102. Kenttä G, Hassmén P. Overtraining and recovery: a conceptual model. Sports Med1998;26(1):1-16. Kellmann M. Underrecovery and overtraining: different concepts – similar impact? In: Kellmann M, ed. Enhancing Recovery. Champaign, IL: Human Kinetics; 2002:3-24. Hooper SL, Traeger Mackinnon L. Monitoring overtraining in athletes. Sports Med 1995;20(5):321-327. Lehmann M, Foster C, Dickhuth HH, Gastmann U. Autonomic imbalance hypothesis and overtraining syndrome. Med Sci Sports Exerc 1998;30(7):1140-1145. Rowbottom DG, Keast D, Goodman C, Morton AR. The haematological, biochemical and immunological profile of athletes suffering from the overtraining syndrome. European J Appl Physiol Occup Physiol 1995;70(6):502-509. Traeger Mackinnon L, Hooper S. Mucosal (secretory) immune system responses to exercise of varying intensity and during overtraining. Int J Sports Med1994;15(3 Suppl):S179-S183. Bergeron MF, Nindl BC, Deuster PA, et al. 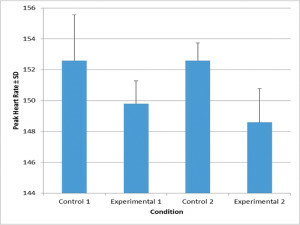 Consortium for health and military performance and American College of Sports Medicine consensus paper on extreme conditioning programs in military personnel. Curr Sports Med Rep2011;10(6):383-389. Hulkko A, Orava S. Stress fractures in athletes. Int J Sports Med 1987;8(3):221-226. Kibler WB, Chandler TJ. Musculoskeletal and orthopedic considerations. In: Kreider RB, Fry AC, O’Toole ML, eds. Overtraining in Sport. Champaign, IL: Human Kinetics; 1998:169-190. Dishman RK. Biological psychology, exercise, and stress. Quest 1994;46:28-59. Uusitalo AL, Valkonen-Korhonen M, Helenius P, et al. Abnormal serotonin reuptake in an overtrained, insomnic and depressed athlete. Int J Sports Med 2004;25(2):150-153. Asmussen E. Muscle fatigue. Med Sci Sports 1979;11(4):313-321. MacIntosh BR, Rassier DE. What is fatigue? Can J Appl Physiol 2002;27(1):42-55. Maffiuletti NA, Bendahan D. Measurement methods of muscle fatigue. In: Williams CA, Ratel S, eds. Human Muscle Fatigue. Routledge: London, UK; 2009:36-66. Williams CA, Ratel S. Definitions of muscle fatigue. In: Williams CA, Ratel S, eds. Human Muscle Fatigue. London, UK: Routledge; 2009:3-16. Benedetti F, Pollo A, Lopiano L, et al. Conscious expectation and unconscious conditioning in analgesic, motor, and hormonal placebo/nocebo responses. J Neurosci2003;23(10):4315-4323. Waber RL, Shiv B, Carnon Z, Ariely D. Commercial features of placebo and therapeutic efficacy. JAMA 2008;299(9):1016-1017. Beecher HK. The powerful placebo. JAMA 1955;159(17):1602-1606. Siff MC. Introduction to fundamentals. In: Siff MC, Yessis M, eds. Sports Restoration and Massage. Johannesburg, South Africa: Universwity of Witwatersrand; 1992:13-14. Behm DG, Baker KM, Kelland R, Lomond J. The effect of muscle damage on strength and fatigue deficits. J Strength Cond Res 2001;15(2):255-263. MacIntyre DL, Reid WD, McKenzie DC. Delayed muscle soreness. The inflammatory response to muscle injury and its clinical implications. Sports Med 1995;20(1):24-40. Newham DJ, Mills KR, Quigley BM, Edwards RH. Pain and fatigue after concentric and eccentric muscle contractions. Clin Sci 1983;64(1):55-62. Racinais S, Bringard A, Puchaux K, et al. Modulation in voluntary neural drive in relation to muscle soreness. Eur J Appl Physiol 2008;102(4):439-446. Burt DG, Twist C. The effects of exercise-induced muscle damage on cycling time-trial performance. J Strength Cond Res 2011;25(8):2185-2192. Aïssa Benhaddad A, Bouix D, Khaled S, et al. Early hemorheologic aspects of overtraining in elite athletes. Clin Hemorheol Microcirc1999;20(2):117-125. Bidwell JP, Gibbons CE, Godsiff S. Acute compartment syndrome of the thigh after weight training. Br J Sports Med 1996;30(3):264-265. Bobbert MF, Hollander AP, Huijing PA. Factors in delayed onset muscular soreness of man. Med Sci Sports Exerc 1986;18(1):75-81. Brun JF. Exercise hemorheology as a three acts play with metabolic actors: Is it of clinical relevance? Clin Hemorheol Microcirc 2002;26(3):155-174. Cleak MJ, Eston RG. Muscle soreness, swelling, stiffness and strength loss after intense eccentric exercise. Br J Sports Med1992;26(4):267-272. Crenshaw AG, Thornell LE, Friden J. Intramuscular pressure, torque and swelling for the exercise-induced sore vastus lateralis muscle. Acta Physiol Scand 1994;152(3):265-277. Dudley GA. Muscle pain prophylaxis. Inflammopharmacology 1999;7(3):249-253. Fridén J, Sfakianos PN, Hargens AR, Akeson WH. Residual muscular swelling after repetitive eccentric contractions. J Orthop Res 1988;6(4):493-498. Hoolihan C, Streeck R. Exercise and the inflammation process. IDEA Fitness J 2008;5(10):50-58. Howell JN, Chleboun G, Conatser R. Muscle stiffness, strength loss, swelling and soreness following exercise-induced injury in humans. J Physiol 1993;464:183-196. Ispirlidis L, Fatouros IG, Jamurtas AZ, et al. Time-course of changes in infammatory and performance responses following a soccer game. Clin J Sport Med 2008;18(5):423-432. Malm C. Exercise-induced muscle damage and inflammation: fact or fiction? Acta Physiol Scand2001;171(3):233-239. Malm C, Yu JG. Exercise-induced muscle damage and inflammation: re-evaluation by proteomics. Histochem Cell Biol 2012;138(1):89-99. Montgomery PG, Pyne DB, Cox AJ, et al. Muscle damage, inflammation, and recovery interventions during a 3-day basketball tournament. Eur J Sport Sci 2008;8(5):241-251. Schurman DJ, Goodman SB, Lane Smith R. Inflammation and tissue repair. In: Leadbetter WB, Buckwalter JA, Gordon SL, eds. Sports-Induced Inflammation. Park Ridge, IL: American Academy of Orthopaedic Surgeons; 1990:277-284. Varlet-Marie E, Gaudard A, Mercier J, et al. Is the feeling of heavy legs in overtrained athletes related to impaired hemorheology? Clin Hemorheol Microcirc 2003;28(3):151-159. Varlet-Marie E, Mercier J, Brun JF. Is plasma viscosity a predictor of overtraining in athletes? Clin Hemorheol Microcirc 2006;35(1-2):329-332. Makaryus JN, Catanzaro JN, Katona KC. Exertional rhabdomyolysis and renal failure in patients with sickle cell trait: is it time to change our approach? Hematology2007;12(4):349-352. Mortimer RB. Risks and management of prolonged suspension in an Alpine harness. Wilderness Environ Med2011;22(1):77-86. Mrsic V, Nesek Adam V, Grizelj Stojcic E, et al. Acute rhabdomyolysis: a case report and literature review. Acta Med Croactica 2008;62(3):317-322. Patel DR, Gyamfi R, Torres A. Exertional rhabdomyolysis and acute kidney injury. Phys Sportsmed2009;37(1):71-79. Collins NC. Is ice right? Does cryotherapy improve outcome for acute soft tissue injury? Emerg Med J 2008;25(2):65-68. Poppendieck W, Faude O, Wegmann M, Meyer T. Cooling and performance recovery of trained athletes: a meta-analytical review. Int J Sports Physiol Perform2013;8(3):227-242. Bleakley C, McDonough S, MacAuley D. The use of ice in the treatment of acute soft-tissue injury: a systematic review of randomized controlled trials.Am J Sports Med 2004;32(1):251-261. Hubbard TJ, Aronson SL, Denegar CR. Does cryotherapy hasten return to participation? A systematic review. J Athl Train 2004;39(1):88-94. Hubbard TJ, Denegar CR. Does cryotherapy improve outcomes with soft tissue injury? J Athl Train 2004;39(3):278-279. Shaarani SR, O’Hare C, Quinn A, et al. Effect of prehabilitation on the outcome of anterior cruciate ligament reconstruction. Am J Sports Med2013;41(9):2117-2127. Brown K, Loprinzi PD, Brosky JA, Topp R. Prehabilitation influences exercise-related psychological constructs such as self-efficacy and outcome expectations to exercise. J Strength Cond Res 2014;28(1):201-209. Barlow DH, Hersen M. Single Case Experimental Designs: Strategies for Studying Behavior Change. New York, NY: Pergamon Press; 1984. Bates BT. Single-subject methodology: an alternative approach. Med Sci Sports Exerc 1996;28(5):631-638. Kinugasa T, Cerin E, Hooper S. Single-subject research designs and data analyses for assessing elite athletes’ conditioning. Sports Med 2004;34(15):1035-1050. Riddoch J, Lennon S. Single subject experimental design: One way forward? Physiother 1994;80(4):215-218. Atha J, Wheatley DW. Joint mobility changes due to low frequency vibration and stretching exercises. British J Sports Med 1976;10(1):26-34. McNeal JR, Edgerly S, Sands WA, Kawaguchi J. Acute effects of vibration-assisted stretching are more evident in the non-dominant limb. Eur J Sport Sci 2011;11(1):45-50. McNeal JR, Sands WA. Stretching for performance enhancement. Curr Sports Med Rep 2006;5(3):141-146. Sands WA. Shake it up, tests confirm that vibration can improve flexibility. Skating 2007;Aug/Sept:46-47. Sands WA. Flexibility. In: Malina RM, Gabriel JL, eds. USA Diving Coach Development Reference Manual. Indianapolis, IN: USA Diving; 2007:95-103. Sands WA. Flexibility. In: Cardinale M, Newton R, Nosaka K, eds. Strength and Conditioning Biological Principles and Practical Applications. Hoboken, NJ: John Wiley& Sons, Ltd; 2010:391-400. Sands WA, McNeal JR. Mobility development and flexibility in youths. In: Lloyd RS, Oliver JL, eds. Strength and Conditioning for Young Athletes. London, UK: Routledge; 2013:132-145. Sands WA, McNeal JR, Stone MH, et al. Effect of vibration on forward split flexibility and pain perception in young male gymnasts. Int J Sports Physiol Perform2008;3(4):469-481. Sands WA, McNeal JR, Stone MH, et al. The effect of vibration on active and passive range of motion in elite female synchronized swimmers. Eur J Sport Sci 2008;8(4):217-233. Sands WA, McNeal JR, Stone MH, et al. Flexibility enhancement with vibration: Acute and long-term. Med Sci Sports Exerc2006;38(4):720-725. Sands WA, Stone MH, Smith SL, McNeal JR. Enhancing forward split flexibility: USA Synchronized Swimming. Synchro Swimming USA2005;13(2):15-16. Baranov AJ, Malyseva TA. Thermophysical processes of cryotherapy. Biomed Eng Acta 2006;1(1):27-33. Bauer J, Skrzek A. Physiological principles of cryotherapy. Biomed Eng Acta 2006;1(1):21-26. Bialy D, Raczkowski Z, Strek W, Zagrobelny Z. The cryogenic chamber in Wroclaw. Biomed Eng Acta 2006;1(1):34-36. Bialy D, Zimmer K, Zagrobelny Z. The application of the whole body cryotherapy in sport. Biomedical Engineering Acta. 2006 2006;1(1):86-. Gregorowicz H, Zagrobelny Z. Systemic cryotherapy. Indications and contraindications, process of treatment and its physiological and clinical results. Biomed Eng Acta 2006;1(1):9-20. Hudson Z. Massage–what’s the latest evidence. SportEX Med2006;27:4-5. Raso J. Chasing shadows on a pitch-black wall. Skeptic1994;3(1):58-69. Rosa L, ed. Survey of “Research” on Therapeutic Touch. Loveland, CO: Front Range Skeptics; 1996. Tiidus PM. Manual massage and recovery of muscle function following exercise: A literature review. J Orthop Sports Phys Ther1997;25(2):107-112. Sands WA, McNeal JR, Murray SR, et al. Stretching and its effects on recovery: A review. Strength Cond J2013;35(5):30-36.